Spring has come to south central Texas and I've lost count of how many near perfect days we've had since the last week of January. Those of you who are housebound due to snow and ice are more than welcome to come on down here and visit me. I can promise you some quality gardening time! 'Rising Sun' redbud is getting ready for its big show. 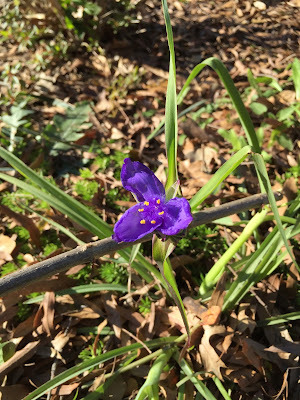 The cooler weather means a deeper purple bloom on the spiderwort. Our state flower is making an early appearance. This weather, right here, right now, is what makes me and so many other Texans willing to suffer through our sizzling summers. The evils of August seem very far away. 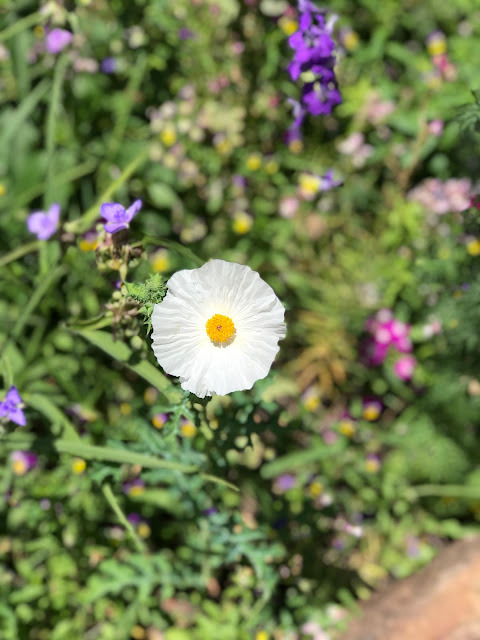 I've seen Rising Sun at an arboretum and it's gorgeous. When it's really hot here in NC I think about folks in Texas and Florida and wonder how they stand it. I would love to visit when the blue wave of bluebells fill the fields. I will dream of them for now, surrounded by snow and ice. Thanks. I'm loving that spring is coming but I still want to savor February a bit! Less weeds! 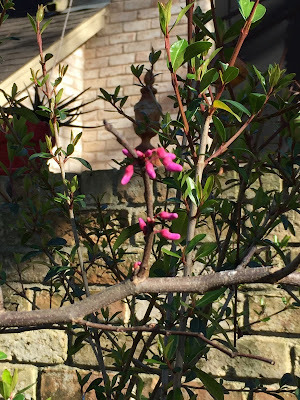 Can't wait to see Rising Sun in bloom. Love Cercis. 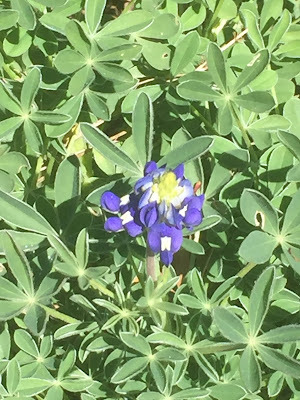 I remember how pretty the blue bonnets looked when I was in Austin at Spring Fling, just lovely. Lovely! But don't hog that spring. Send it on up here! Amazing you already have bluebonnets in bloom! 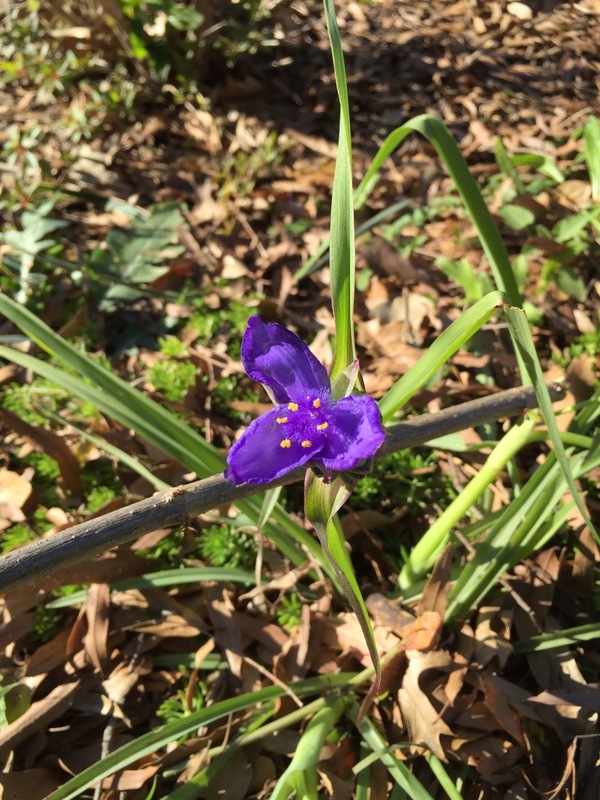 You can grow spiderwort, too? I think mine might be blooming four months from now, but hey, no biggie. It must be one heck of an adaptable plant.